If you follow me on instagram ( @therealmehaffeymoments ) then you will recognize this picture and know I just sold a big group of calves the other day; 95 head to be exact and it feels so good!!! In this post I wanted to explain to you all a little bit more of what I do as a calf raiser, my objective and it’s ups and downs. Making sure the calves have access to fresh clean water and fresh food daily. To raise healthy, strong calves. Have a good growth rate. Keep a routine with the calves on feeding and preventive measures. Keep their environment as clean and dry as possible according to the time of year. Last but not least and probably one of the most important is to try an maximize your growth, health, and feed consumption for the least amount of money! Calf raising is very rewarding, you know you are helping to control the future of your dairy and the heifer program. In two years these calves will be milking and would of had a baby! I can take my kids to work with me anytime I want! If you are raising calves to sell, you have the ability to show a professional calf buyer you know what you are doing and hopefully create a great relationship that will benefit you and him. I will be the first to admit…calf raising is hard, grueling and you are in the elements sun, rain, hot, cold, you name it, you have to be out there for those calves. Calf raising will also beat you down because you are doing the same thing everyday, day in and day out, over and over again, trying to make your day better than the day before. All in all, I love what I do, I like raising animals, I love having my kids around me, this is my passion and I couldn’t imagine doing anything else that feels this rewarding to me. Above I filmed a little video as I was walking down to sell calves, enjoy! Here’s a recap of how my day went when we sold calves. To start off, all the calves were given milk and water before they left to live on another calf raising facility. Next we pulled all their buckets from their crates to make the calf loading process as easy as possible, on the calves and us. Before they are loaded up in a double-decker trailer, a layer of bedding is spread on to the floors for their comfort and to help keep them dry. Then the calf buyer walks all the crates with us to let us know which ones he is taking or leaving because of health reasons, type, etc. Next they are all loaded up into the trailer by age/size. The trailer has “cells” gates within the trailer to keep groups of calves separated for safety. When all the calves are loaded up, the gates are closed, locked, secured and ready to go to their new facility. To explain a little more about how the calf selling process works is, you usually sell by weight. So this truck and trailer went and got a certified weight at the scales with it empty or “light-weight”, Just truck and trailer. 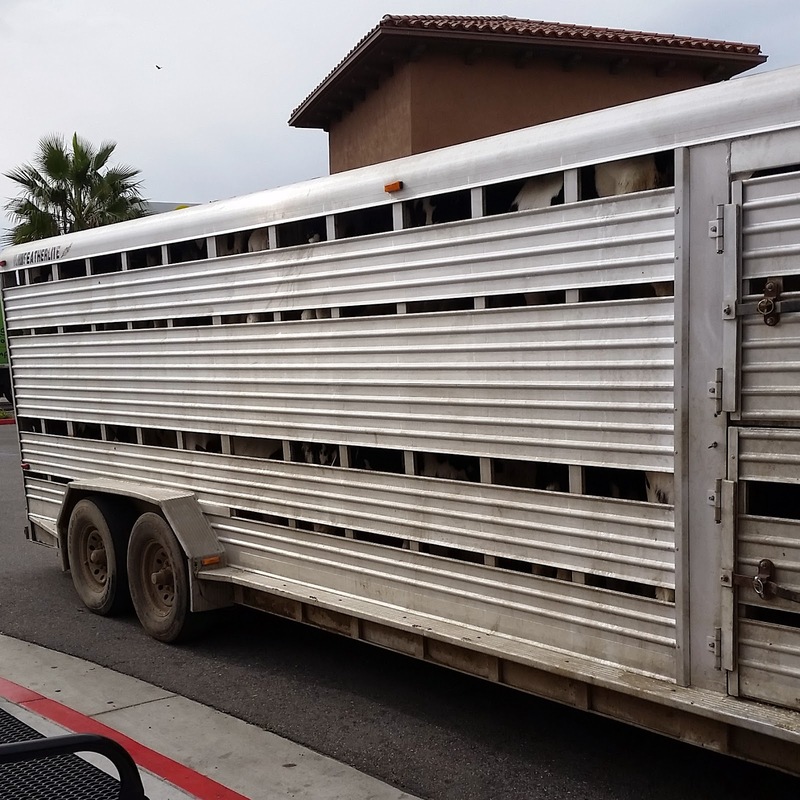 Then after all the calves are loaded up, you go back to the scale and get a weight of what the truck and trailer weigh with the calves, “heavy-weight”. You minus what the truck weighed before and what the truck weighed after and that’s how much you get paid on. Essentially that’s how much you calves weighed and you can divide by the number of calves to get your average weight of each calf. I hope this post helped you understand a little bit more of what my “main” job is on the dairy and what my objectives are with calf raising. If you found this helpful or you care to share, leave a comment below!